We are offering a large variety of high quality PVC Bags to our clients to our clients. 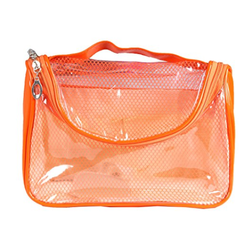 The PVC Bags are available with transparent and color handle that is also provided with a matching snap button. This provides an elegant and attention-grabbing appearance to the bag. The bags which are manufactured by us are durable and have long life. These bags are used for multipurpose.